Sales of passenger cars in Europe increased by 7,5% in July 2018, the second largest increase of the year so far, also helped by an extra selling day compared with July 2017. A total of nearly 1,28 million vehicles were sold during this month. The major EU markets showed very diverse results, with Spain (+19,1%) and France (+18,5%) showing the biggest growth of the top 5 markets. Germany also showed healthy growth at +12% while car sales in Italy were up 4,4% and the UK was up 1,2%. Lithuania is the fastest growing market with an increase of 56,4%, followed by Croatia (+43,7%) Romania (+34,2%), Portugal (+26,1%), and Poland (+25,7%). July marks the third consecutive month of growth for European car sales, and the sixth this year. A total of 1,19 million cars were registered in the 28 countries of the European Union and EFTA, an increase of 3,2% on last year. This brings the year-to-date tally to 9,56 million sales, up 4% on the first seven months of 2016. Among the five biggest markets, Italy (+15,8%) and Spain (+13%) showed the strongest improvements, as France (+9,4%) and Germany (+3,5%) also outgrew the market, but the United Kingdom (-6,4%) suffered another blow. Including the smaller markets, Greece (+19,7%) was once again the best performer, while Ireland (-7,2%), Switzerland (-4,6%) and Denmark (-3,3%) are the only other three markets to lose volume on last year. Among manufacturers, Toyota Motor is the best performer in terms of absolute growth, although Renault-Nissan is only a handful of sales behind and Daimler AG remains pretty close as well. The first two add more than 10.000 sales to their July volume of last year, while the latter grows by close to 9.600 sales. On the other end of the scale, Ford Motor Company loses more than 7.000 sales as its best seller Fiesta is in a model change phase which temporarily hurts its deliveries. BMW Group loses almost 1.200 sales and Honda continues to lose volume for the 7th month this year. In relative terms, Aston Martin is the only manufacturer to more than double up, while Tesla Motors adds 63% and General Motors‘ US brands Cadillac and Chevrolet (sports cars and SUVs) grows by almost 50% from its low base. 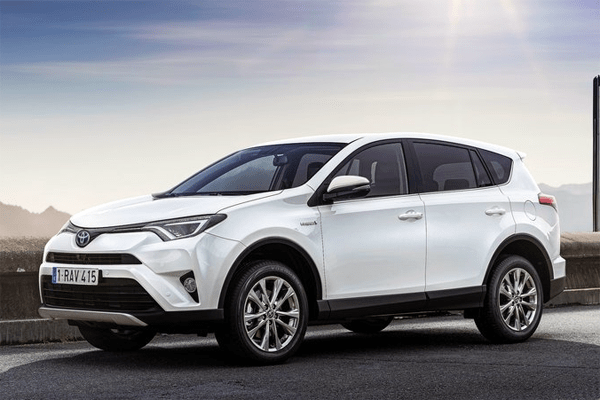 Mahindra & Mahindra is hurt by slowing sales of its South-Korean SUV brand SsangYong and is the fastest declining manufacturer, followed by Ford Motor Company and Honda. After two months of slumping sales in April and May, the Chinese car market recovers with two months of increases in June and July. July sales are up 5,4% on 2016 and a whopping 30,8% on July 2015, which was especially depressed when the Chinese stock market crashed, before the Beijing government stepped in with their tax reduction on vehicles with small engines. A total of 1,65 million new passenger cars were sold last month, naturally a new record for July sales in China. The year-to-date total now stands at 12,59 million sales, an increase of 3,4% on the first seven months of 2016. The Seasonally Adjusted Annualized selling Rate stands at 24 million in July, the highest figure since January. SUVs and crossovers are once again the main (and only) winners in April with sales up 18% to 689.500 units, while sedans decline for the fourth consecutive month at -0,3% to 824.900 sales and MPV sales continue to plunge at -11% to 136.500. New Energy vehicle sales improved 55% to 57.000 units, as EV sales gained 70% to 45.000 units and PHEVs rebounded for the second straight month at +16% to 12.000 sales. Year-to-date, EV and PHEV sales in China are up 22% to 251.000 sales, of which 204.000 EVs (up 34%) and 47.000 PHEVs (down 13%). Sales of domestic automakers were up 9,5% and their share is up from 38% to 39,5%, although that is the lowest share since last January. Japanese brand cars are up 16,3%, sales of US brand cars are up 3,9% and of European brand cars are up 0,9%, while sales of South-Korean brand cars are down 46,7%. After discussing the US auto brand sales ranking for July, let’s take a closer look at the models ranking. After two years of absence Toyota finally put a car on the podium, but this time it’s not the one-time family-favorite Camry – it’s the crossover RAV4, a car much more of the times. With sales 31.2% higher than last year, the RAV4 is suddenly a serious contender for fourth in the rankings by the end of the year, a fight that only last month seemed would be fought between Nissan Rogue and Honda CR-V. Clearly, there is little to choose between these crossovers as far as the consumers are concerned, although the Honda did suffer an unexpected 11.8% loss in sales relative to what the previous-generation model sold last year. Things are not particularly eventful in the Top 10, although it’s worth noting that while both Toyota Camry and Honda Accord have seen their successors revealed, sales of the current models have once again declined only slightly – clearly dealers are using incentives to manage a smooth transition to the new generation models. The decline in the US car market kicked up a gear in July, with sales falling by 6.6% compared to the same month in 2016, the largest decline so far this year. With car brands throwing everything they can, including the proverbial kitchen sink, at customers with seemingly no impact, it is clear more than ever than the market is in for its largest decline in years. After 33 months of non-stop growth, the European car market’s recovery has come to an end in July 2016, with sales down 2,6% for the month, at 1.147.258 units. After showing impressive growth in the first half of the year, even the Southern European countries see their recovery stall, with increases of just 3% in Italy and 4% in Spain. Surprisingly, UK sales are stable at +0,1% while the German car market contracts 4% and France is down even harder at -10%. Year-to-date, we’re still in positive figures at +7,3% to 9.174.057 sales, although we may finish the year in the red if this trend continues as expected, spurred by the Brexit vote. Chinese car sales are back in their traditional fashion: up with booming figures, as 1,55 million locally produced cars were sold in July, an increase of 28,7% over July 2015, although it has to be noted this was an exceptionally low month with sales down 5% over July 2014, because the domestic stock market collapsed just over a year ago. Still, we’re talking about the best July ever recorded, and by a large margin. This is also supported by the Seasonally Adjusted Annualized Selling Rate, which stands at 22,2 million units, the highest of the past four months. Year-to-date, Chinese car buyers have taken delivery of over 12,1 million locally produced cars, an increase of 13% over the first seven months of last year. As we’re used to by now, sales of SUVs and crossovers fueled the market, up 47% to 580.700 units, followed by MPV sales at +39% to 153.600. Even sedan sales showed impressive growth in July, naturally slower than the overall market, but a 20% improvement is the best we’ve seen in months, which translates into 824.900 sales. After enjoying record shares of over 43% in January and February, the local brands have seen their share slowly decline to 37,5% in July. Year-to-date, 40% of the cars sold in China wore a badge from a domestic brand, still two points above the full-year 2015 figure and the highest it’s ever been. What will be interesting to see is if the Chinese auto market will finish 2016 in the positive. That may seem like a no-brainer as it ended last year with a bang, when the government stepped in to save a depressed market after the stockmarket meltdown, by launching a tax cut for cars with small engines (below 1,6 liters). This boosted sales to record heights in the last three months of 2015, as you can see in the graph above. The tax cut is scheduled to end by December 31st and if that happens as planned, Chinese consumers will pull forward their prospective purchases to 2016 and the market will get yet another boost in the last few months of the year before plummeting back down in early 2017. However, if the government decides to prolong the tax break (and communicates that in a timely manner), the market will remain more stable but it remains to be seen if it can keep up with the sales pace set in Q4 of last year. If the tax break stays, chances are the final figure for this year will be 22 million vehicles, an increase of “just” 9%. Still, that would be the healthiest solution for the market as a whole. After exploring the July 2015 auto brands sales, let’s zoom in on which car models have performed well this month. Volkswagen impressively places three models in the top-5, for the first time ever. The Golf is traditionally the best selling car in Europe, and for the third time this year the Polo is in second place. But the most impressive performance comes from the Passat: up 50% to fifth place for only the second time in 9,5 years. The Skoda Octavia also has an excellent month, scoring its highest ranking of the year in 6th place, and the Audi A3 is back into the top-10 after two months of absence, making it 5 VW Group models in the top-10. The Opel/Vauxhall Corsa has a bad month, dropping out of the top-10 for the first time this year, behind the Peugeot 208, which in its turn is outsold by its larger sibling the 308 for the first time this year. The biggest winners in the top-20 are the new generation Skoda Fabia in 14th place, up 57,7% and the Mercedes-Benz C-Class at #15 with sales up 64%.